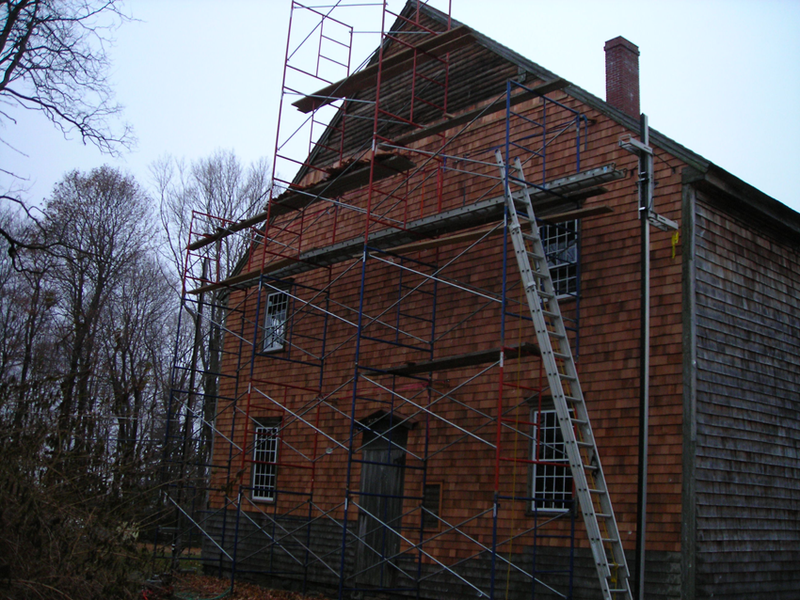 Carefully executed restoration work on an 18th century meetinghouse in Pawling, NY. 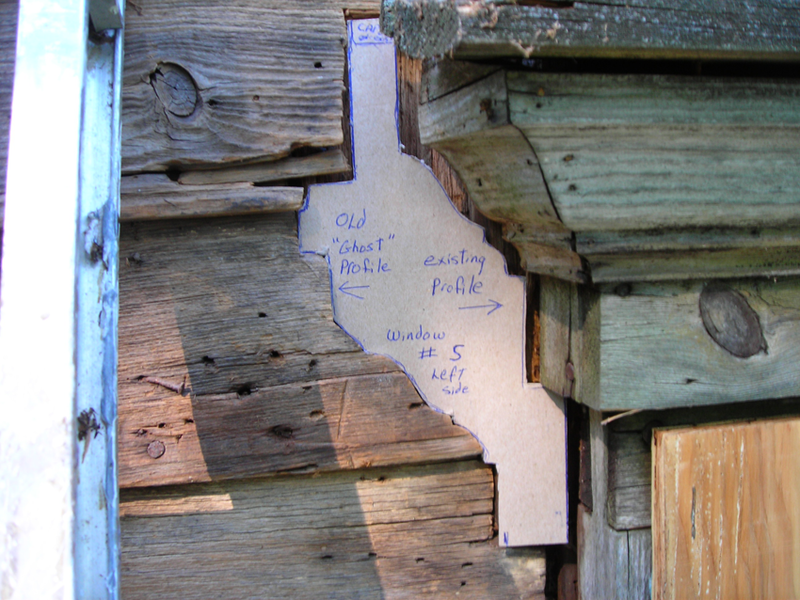 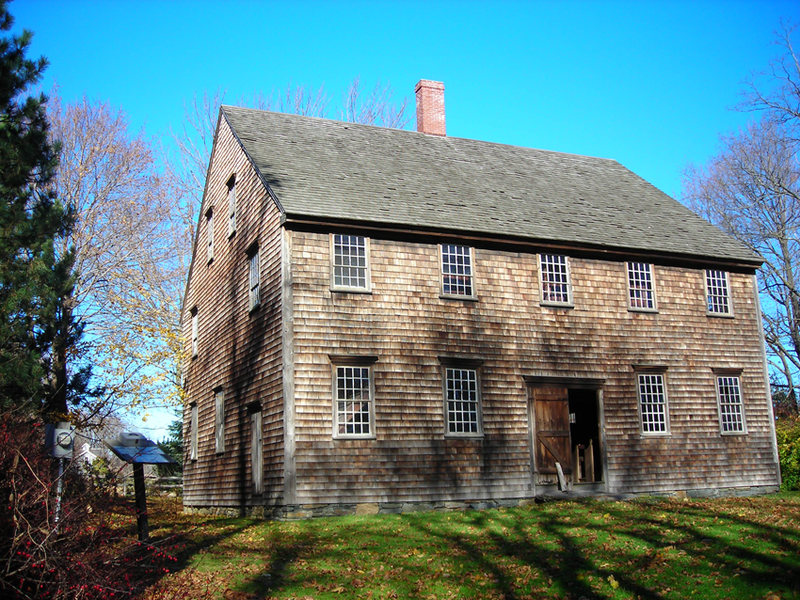 The Oblong Quaker Meetinghouse, having sustained for over two centuries, was showing its age in the thinning wooden shakes, deteriorating window components, and failing foundation. 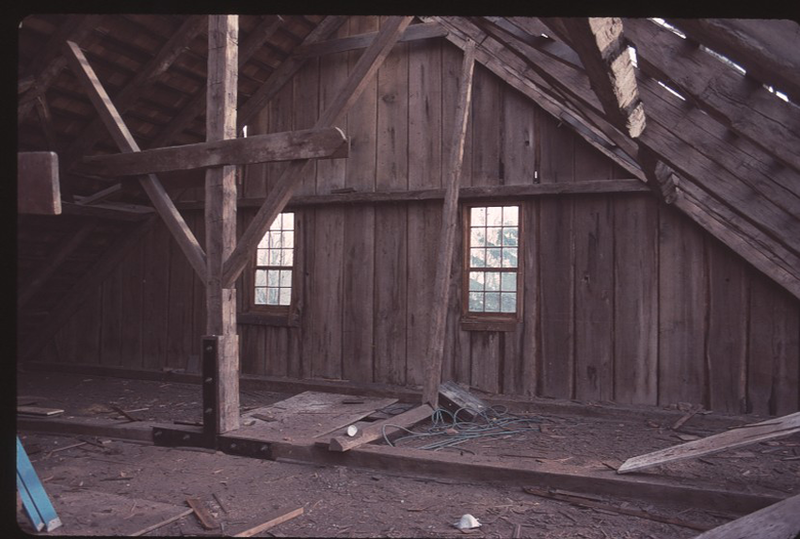 HVP was hired to completely rebuild the foundation, and to replace the timber sills, three main girters, and the majority of the floor joists. 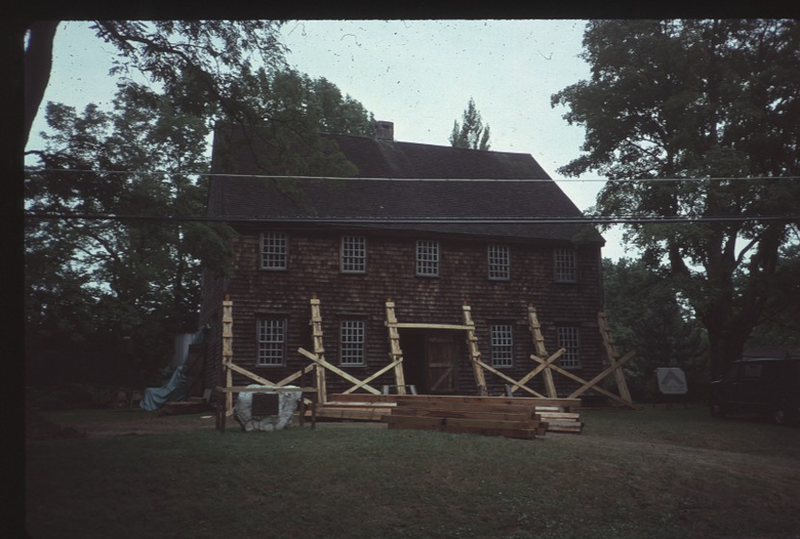 In addition, work was executed to rebuild the chimney, and to restore all twenty-two window sash, including the mortise-and-tenon wooden frames and glazing. 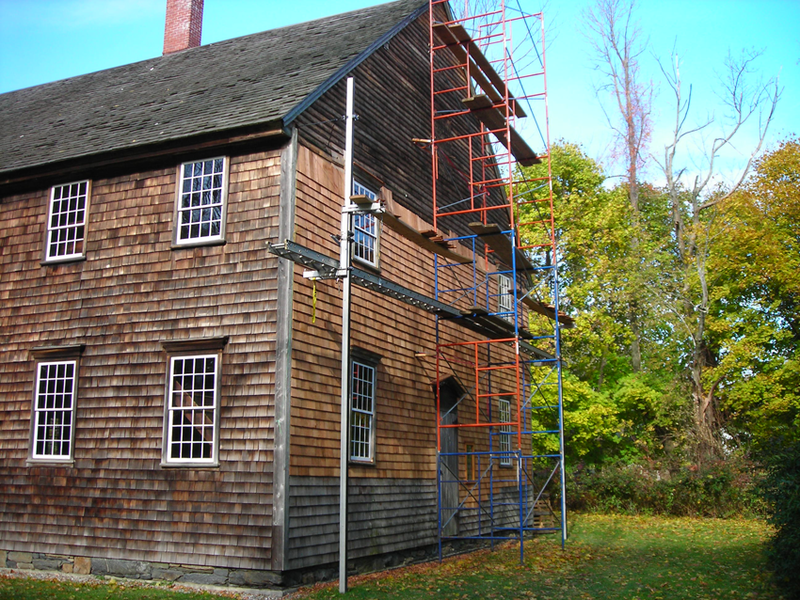 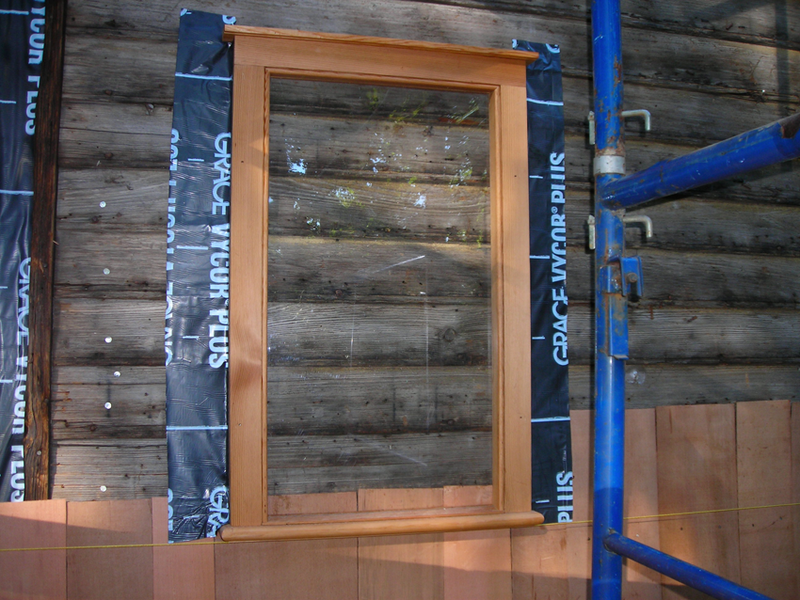 The final phase included installing new red cedar shingle siding on the entire east elevation, applying a coat of protective paint to all window sash, and installing a plexi-glass protection system on the north and west elevations.